Good observations Chris – I wonder if you might be referring to the company I work for – Syngenta. 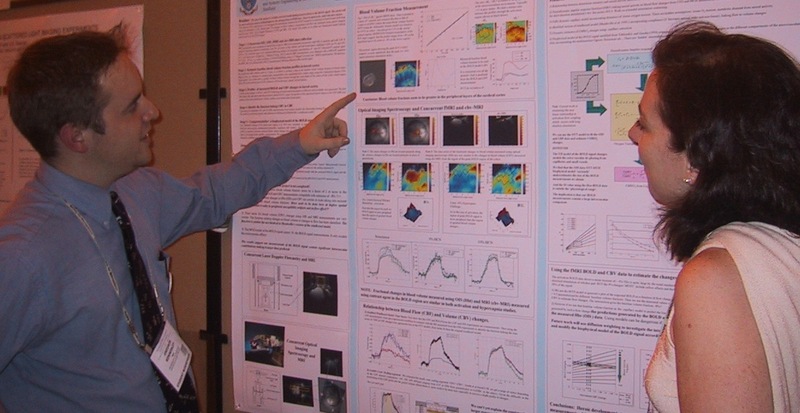 Another advantage I find with posters is that it is much easier for the presenter to make eye contact with the audience, and vice versa. This is because slides on a screen tend to results on everyone staring in one direction and not looking at each other or, probably. the presenter. With a poster or two, people tend to be milling around and ‘interacting’ with each other, albeit perhaps just nods, smiles, grunts, raised eyebrows etc. Good point re eye contact. You’re absolutely right. It’s a completely different kind of dynamic. So for group sharing/update situations, we’ve pretty much relegated PowerPoint to being a design tool, rather than a delivery mechanism. author.I will be sure to bookmark your blog and may come back very soon.